This concentrated mega-moisturizing cream helps quickly improve the appearance of extremely dry, damaged skin. Non-greasy formula leaves skin feeling silky soft. Use multiple times a day for quicker results. I absolutely love this product! It soothes my dryness without being too heavy or greasy. I am sensitive to fragrances, so I love the fact it has no smell. It’s a win, win for me. My husband has extremely dry skin. This product has healed his skin. There is no more flakes and his hands look great. Minnesota winters are tough on skin. This is the only product my husband will use. We have tried so many but this is the one. Heals and soothes and protects his hands great. He even brought some for his hunting buddies to try now they all order it by the case. I am a sensitive redhead with multiple sensitive skin issues, including extreme dryness. This is one of the very few products that is paraben free that ACTUALLY WORKS. I am in need of dry skin relief all year around, not just the wintertime. This product works beautifully, with no fragrance or ingredients that I have problem with. 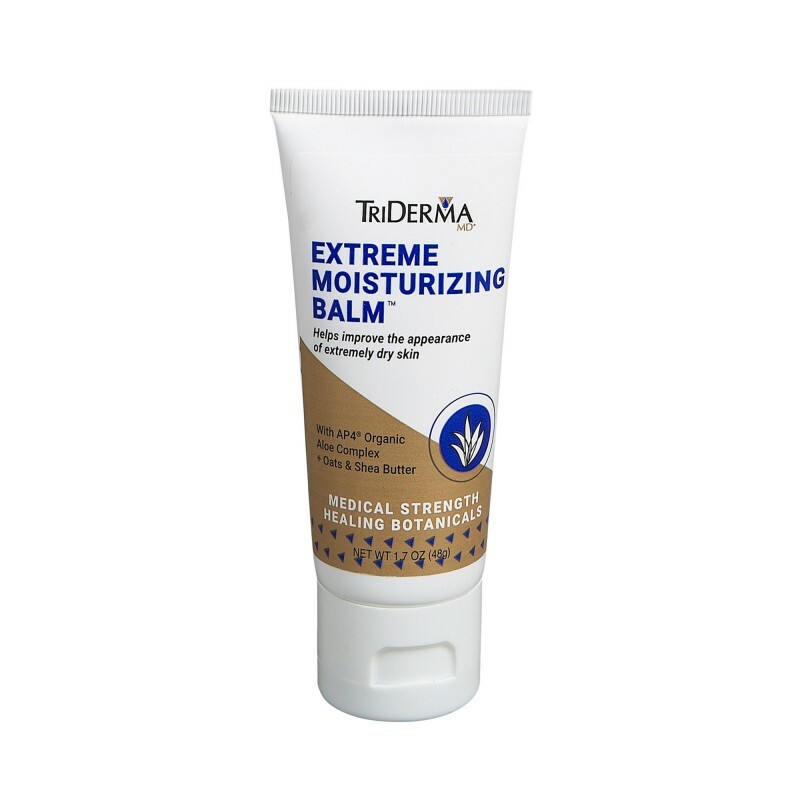 I have ordered multiple times, and can say that the only problem I had with a delivery was quickly resolved by Denise and I will continue to use TriDerma products for my sensitive skin and highly recommend TriDerma to anyone with sensitive skin. Tried for the first time this winter, I have been a long time user of Triderma products. In our cold dry winters in northern MN my family gets terrible dry itchy eczema skin only to be worsened by the winter winds and cold air. We all tried and fell in love with the soothing nature of this product! Thank you! aloe barbadensis (aloe vera) leaf juice*, cetearyl alcohol, urea, isopropyl palmitate, lactic acid, polysorbate 60, beeswax, dimethicone, allantoin, avena sativa (oat) kernel flour, butyrospermum parkii (shea butter), sodium PCA, zinc PCA, citric acid, panthenol (vitamin B), tocopheryl acetate (vitamin E), sodium hyaluronate, cetyl alcohol, sodium phytate, sodium hydroxide, phenoxyethanol, ethylhexylglycerin. "I won your Extreme Dryness PLUS from a giveaway at Living The Good Life. First, thank you for sponsoring the giveaway. Second, I LOVE your product!!! It has worked extremely well on my very dry and cracked skin. I also love that it isn't greasy at all. Thanks a million and kudos on making such a great product." Wen, B.